A perfect blend of complete lifestyle options and tranquility, Gold Homes is a premium super luxury housing project, which entails 2BHK, 3BHK Luxury Apartments at the strategic location of Mohali. The area of Mohali has witnessed unprecedented growth with easy access to Shopping, Medical, IT, MNC’s and Educational Institutions and is attracting urban population. The stunning façade, the superb space planning, the world-class amenities and the extensive landscaping combine to create homes that reflect style and luxury at affordable prices. We believe that good architecture is enhancement of person's life and satisfaction therefore, the buildings we draw today will not just produce some shadows but also they will produce beautiful and happy future. The residential complex is an ode to happy living. We named this campus Gold Homes because of Gold Location, Gold Layout Plans, Gold Amenities. We feel free, joyous and close to luxury and nature. 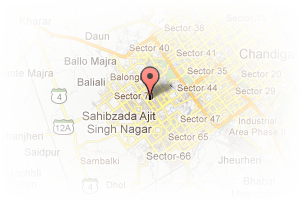 Address: sector 116, Kharar-Landran Road, Mohali, Chandigarh, India. 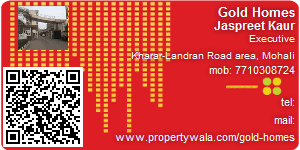 This Builder Profile page for "Gold Homes" has been created by PropertyWala.com. "Gold Homes" is not endorsed by or affiliated with PropertyWala.com. For questions regarding Builder Profiles on PropertyWala.com please contact us.